I used 3 coats of Essence Sundancer as my base which is a gorgeous amber yellow creme. I was going to do nail art on each nail but it's SUCH a lovely yellow I left it as is! For the chick, I used a small nail art brush* from Born Pretty Store and OPI Alpine Snow for the egg. For the beak I used the same nail art brush and Sinful Colors Big Daddy. For the eyes I used Kiss nail art paint striper in black and OPI Alpine Snow and 2 different sized dotting tools. Lastly I outlined the egg with Face of Australia Titanium. That is such a happy looking manicure! I love the wonky chick. :3 Happy Easter! My chickens looked wonky too! 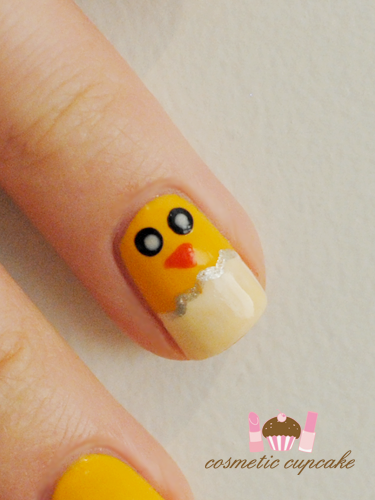 I did a chick manicure a few days ago that I had posted on my blog and they turned out very confused-looking! 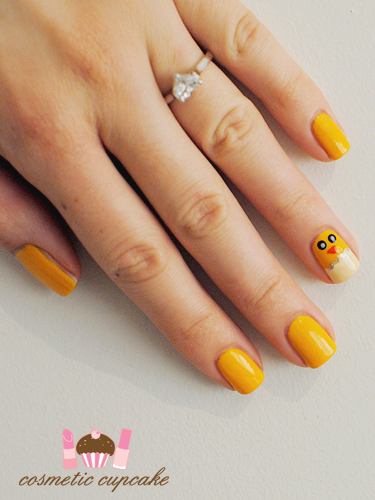 That yellow shade is gorgeous and your nail art is really cute! 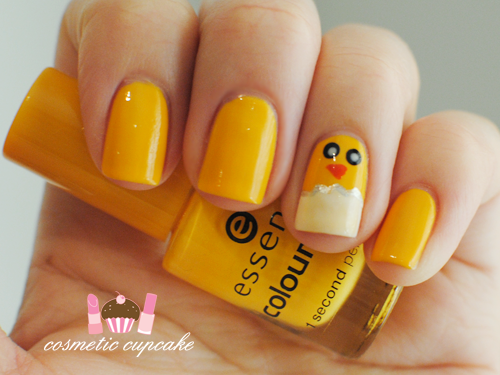 yellow is my fav color and this chicken is so cute :) Happy Easter! 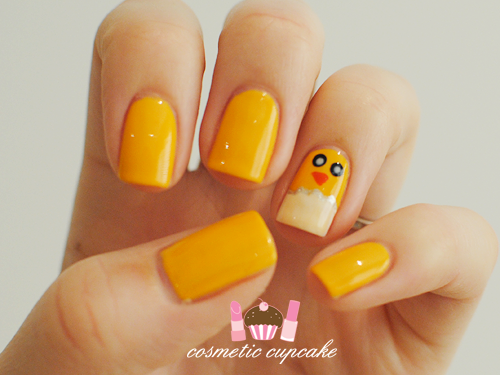 I love the chick *-* it's soooo cute!!! Happy Easter 'chelle! :D sundancer looks great!